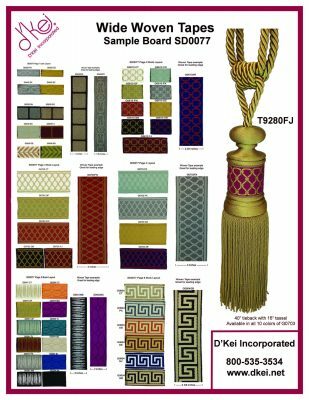 D’Kei’s new Wide Woven Tapes Collection offers a fabulous banquet of jacquard wide woven tapes in styles ranging from antique to transitional to contemporary…drapery trim to match any taste. 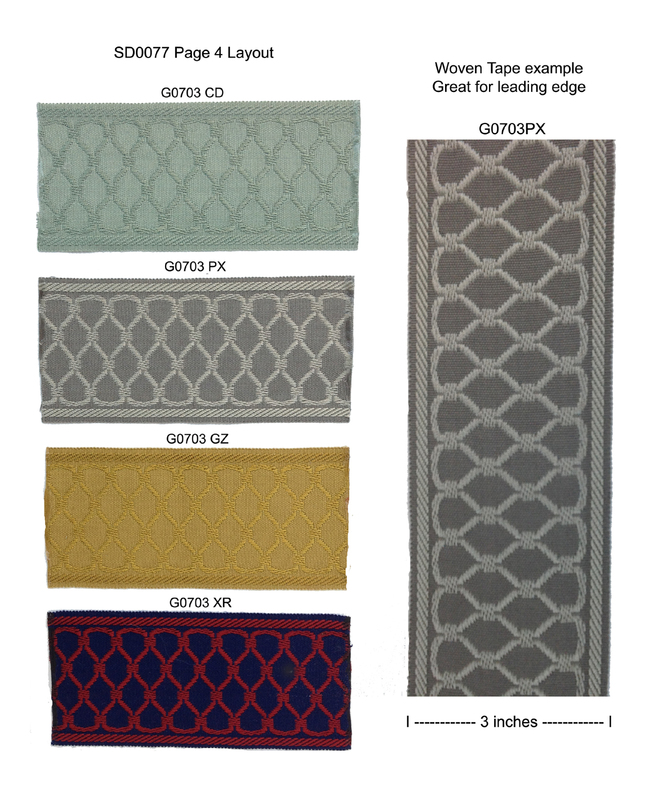 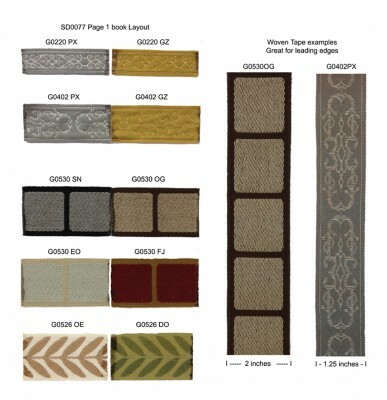 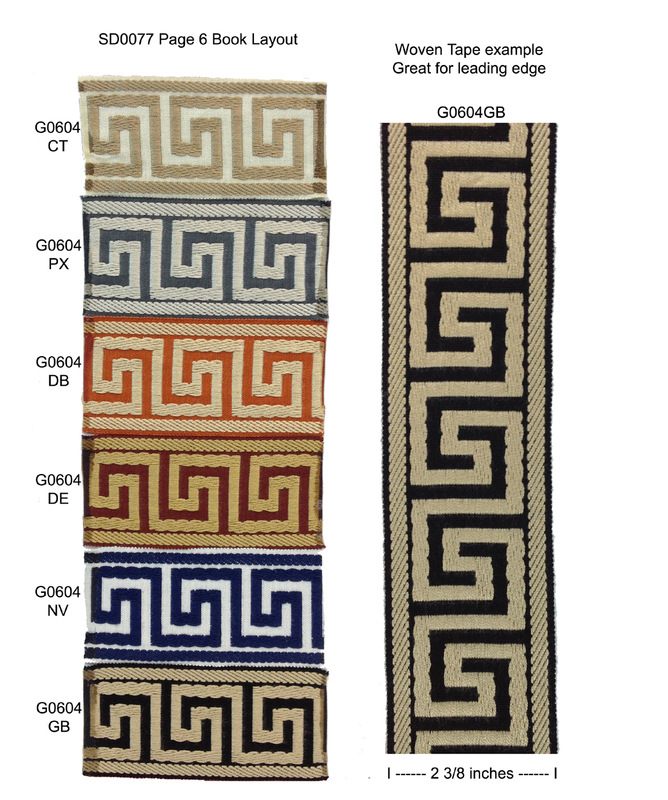 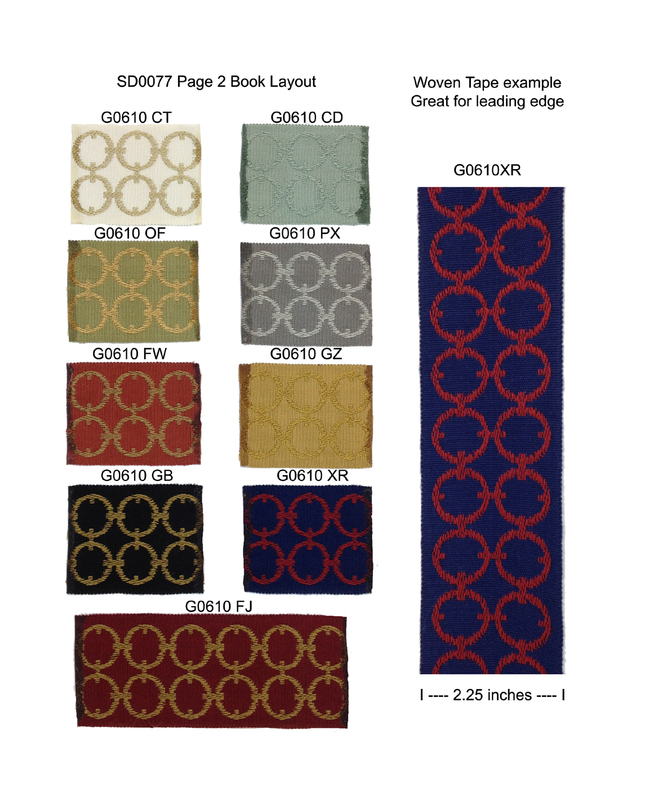 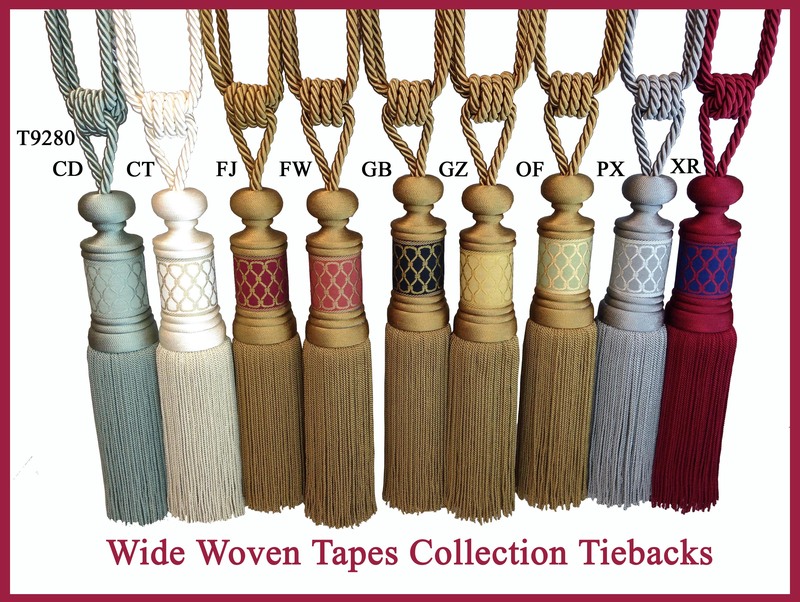 Woven tapes in antique filigree patterns, woven leaves, contemporary squares and squiggles as well as transitional ovals, links and lattice designs; also including the ever-popular woven Greek key jacquard tape. 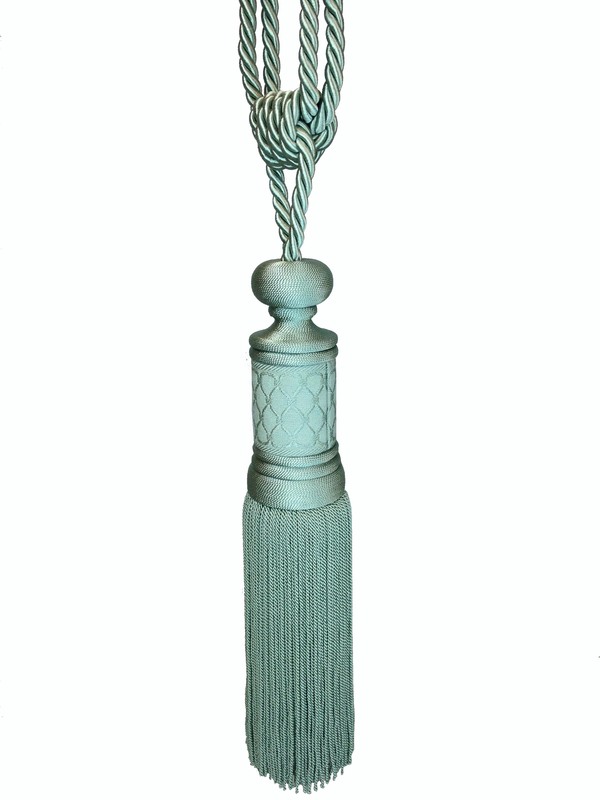 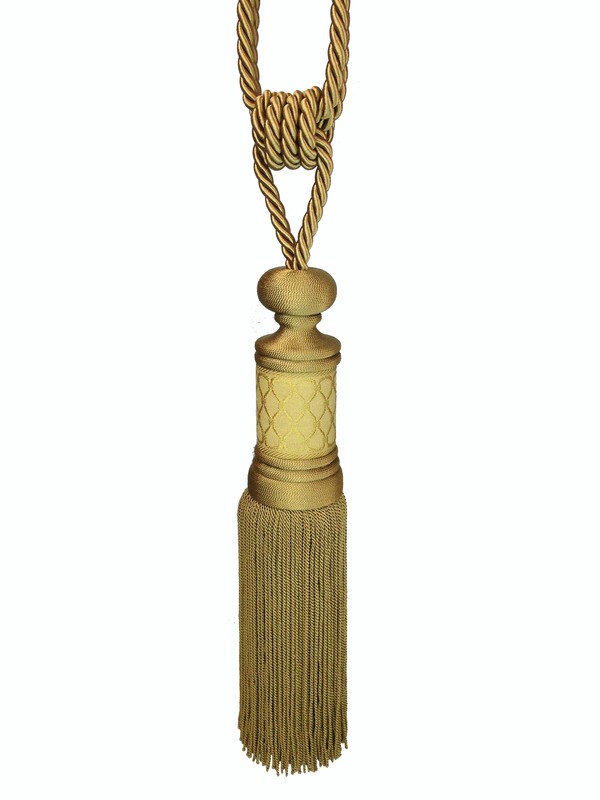 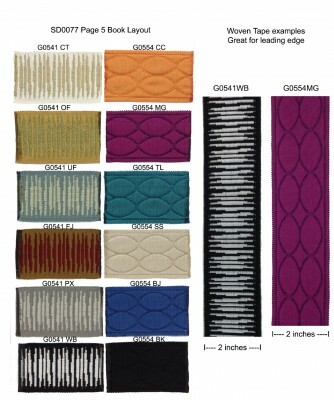 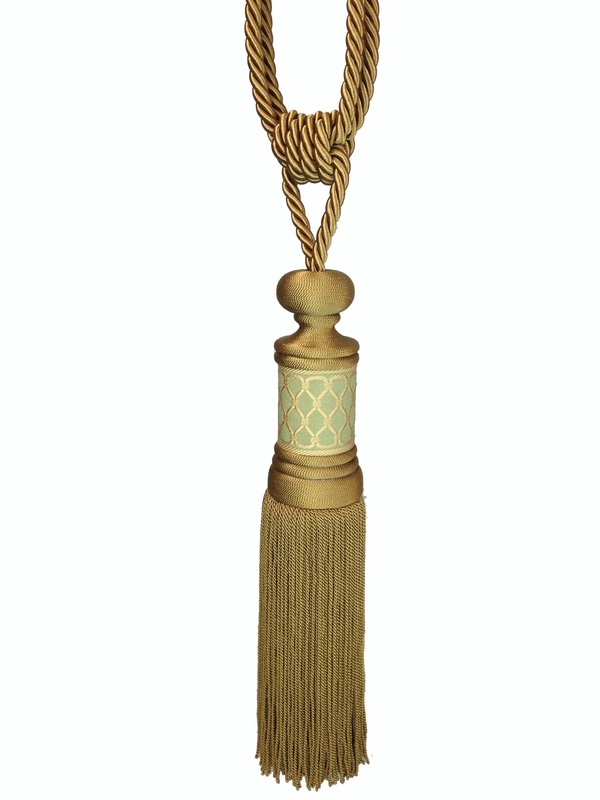 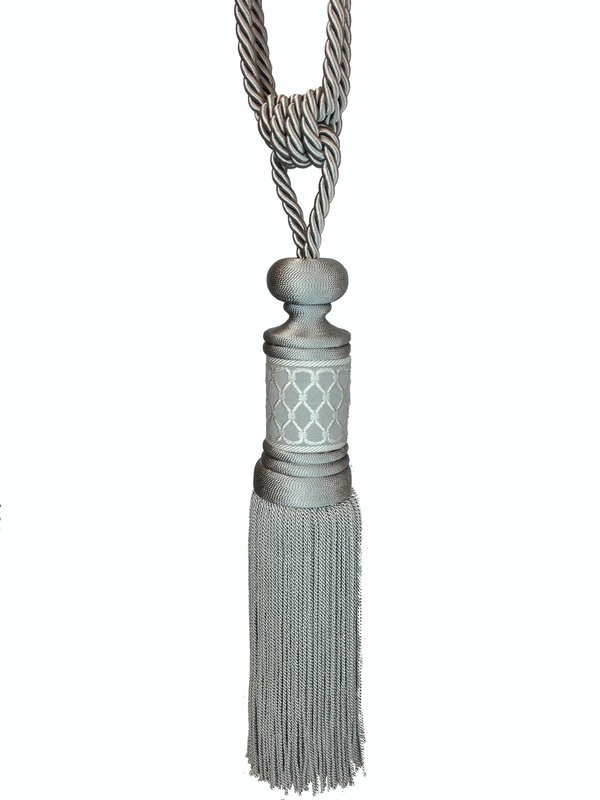 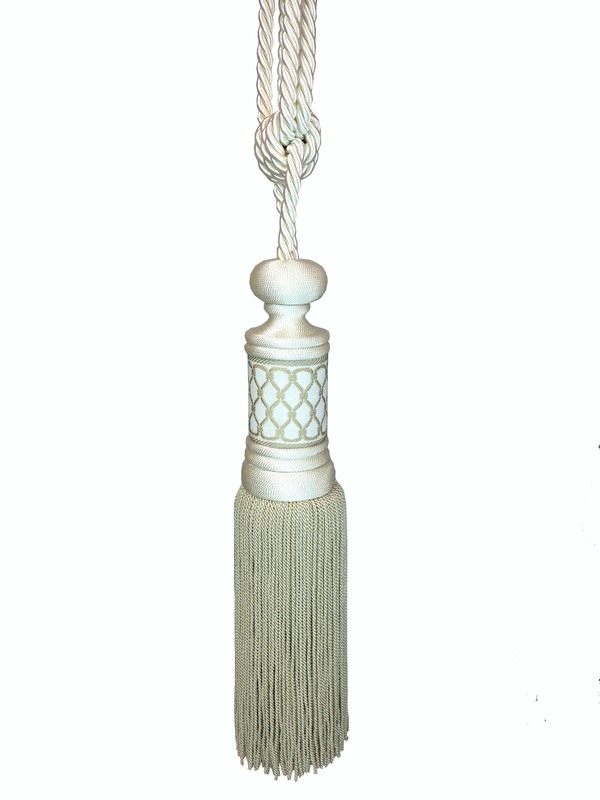 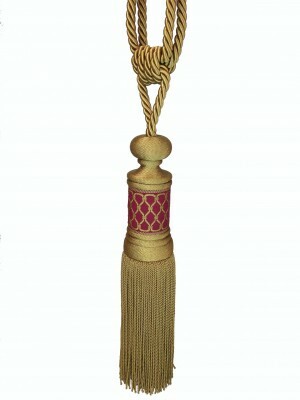 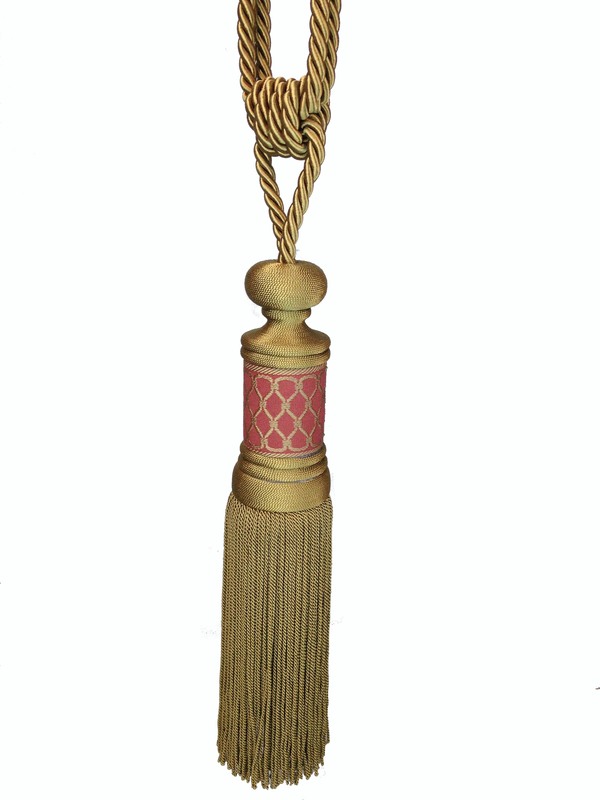 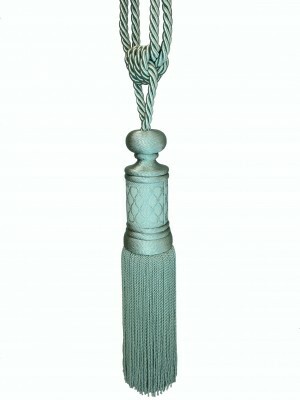 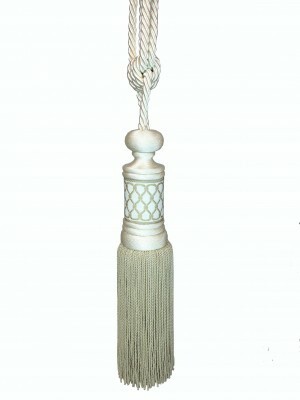 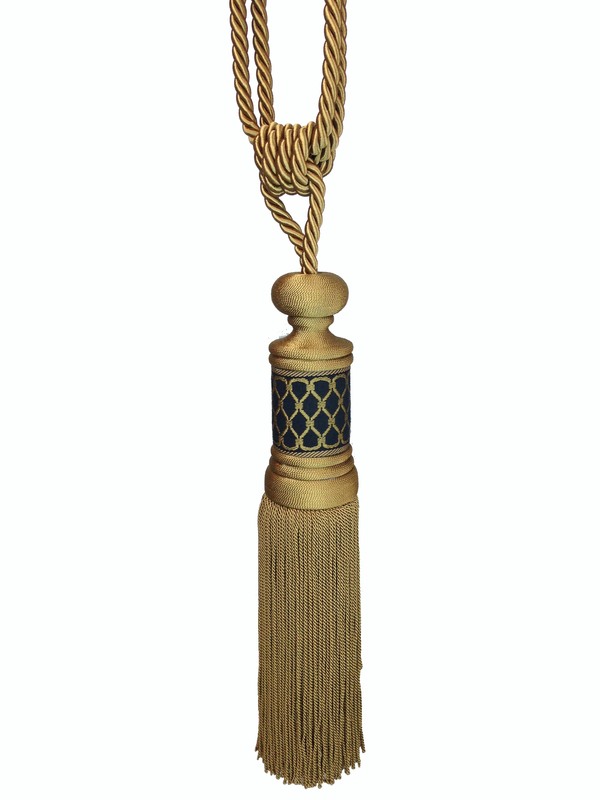 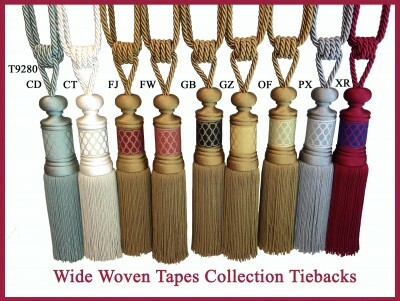 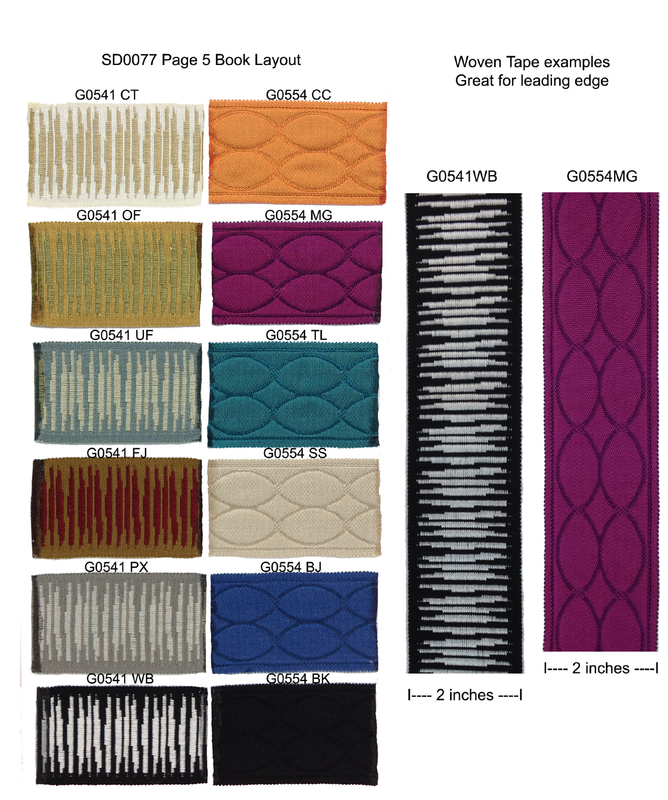 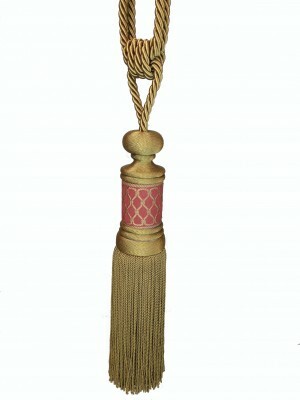 Make a statement on the leading edge of draperies with the 3″ wide woven tape held back by our dramatic coordinating tieback featuring the 3″ wide woven jacquard wrapped around the head of an over-sized 16″ tassel. 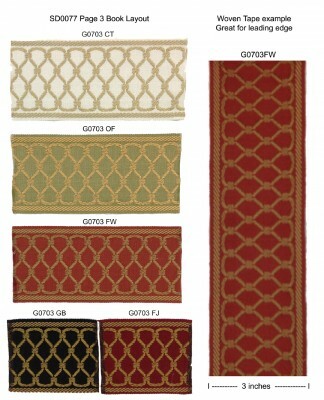 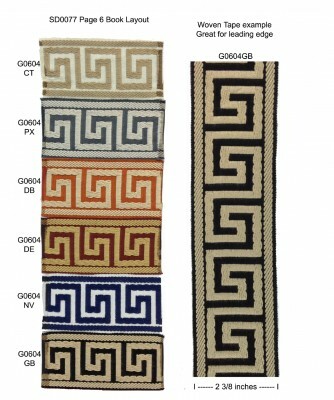 T9280 available in nine colors.